Writer/Director Nick Grant brings his passion to life in this kickstarter, fan funded project. You get what you pay for and I believe there is an audience out there for this Marionette, live action, animation mix of madness. A Fantasty, Musical, Comedy with a horror theme, Gutboy is one Badtime Story. A not so simple Pinocchio tale of a simplistic, stringed, fisherman Goot who sells his skin for $3 to the not so nice Besto. The evil “Buffalo Bill” Besto isn’t happy putting the lotion on the skin and decides to hose Goot again. Besto takes Goot’s fishing rod as well, leaving him no way to make a living. Goot is left to roam skinless, earning him the name Gutboy. Gutboy mets a skinless mermaid, Gutgirl in his travels who has the power to grant him three wishes. Instead of wishing his skin or fishing pole back, Gutboy wants the heart of his love Sophia, who’s not only the daughter of an officer who works for Besto, she’s also who Gutgirl blames for taking her skin. If you’ve followed this synopsis up until this point, this just covers the beginning of the film. Gutboy really is A Badtime Story as you try to follow the madness that ensues in this revenge story gone wrong. Gutboy is an acid trip fairytale with a script as logical as the Rocky Horror Picture Show. It has an appeal about it that may not be as easy to explain as the Richard O’Brien cult classic that’s become an equality patron. I do believe there’s an audience for this Badtime Story, as I was oddly drawn to it myself. I love the way it was filmed. They did lose me with their live action roles and kids at play story that was often times incoherent. Fans of the wilder side of Adult Swim or the ridiculousness of Team America World Police might be Gutboy's cult audience. Those creative minds into art should also find pleasure in it as it's an artistic movie. 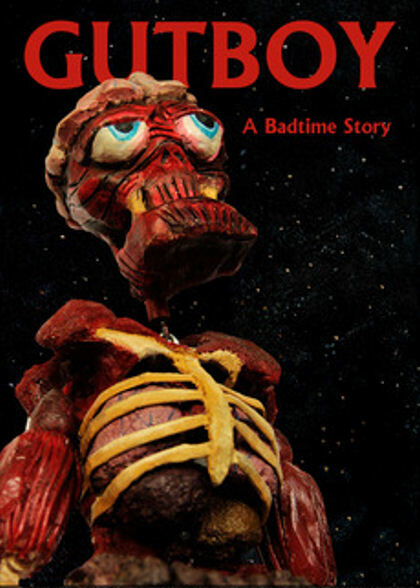 I will say, Gutboy: A Badtime Story is the best marionette movie of the year.